Taprite T742 1 Product 60# 2000# Psi Pressure Gauge Beer Primary Co2 Regulator by Taprite-Fassco at Home Products Hut. MPN: T742. Hurry! Limited time offer. Offer valid only while supplies last. WARNING: THIS PRODUCT CONTAINS ONE OR MORE CHEMICALS KNOWN TO THE STATE OF CALIFORNIA TO CAUSE CANCER AND BIRTH DEFECTS OR OTHER REPRODUCTIVE HARM. 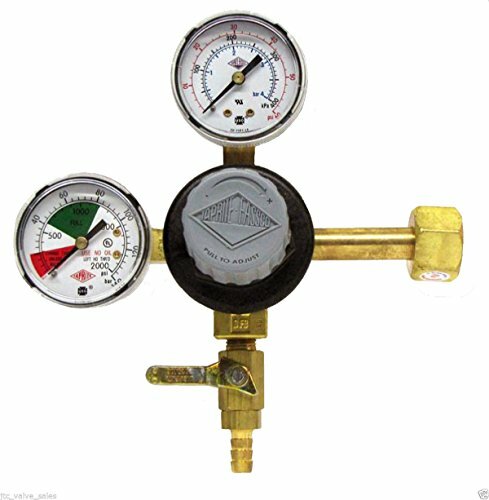 Commercial Dual Gauge Design with a 60 Psi and 2000 Psi Gauge Low Pressure Gauge. Primary Keg Beer Regulator 5/16 barb Shutoff with Check Valve Ball Check Valve. Gray Plastic Bonnet for Easy Pressure Adjustment. Co2 Keg Brass Beer Double Gauge Regulator. If you have any questions about this product by Taprite-Fassco, contact us by completing and submitting the form below. If you are looking for a specif part number, please include it with your message.